The Regional Government will soon launch the international tender for the construction of the new hospital. That even transmitted, moments ago, the president of the Regional Government, on the sidelines of the inauguration of an agricultural path in Ribeira Brava. “This is a very important day for all of us,” began Miguel Albuquerque, referring to the Council of Ministers’ resolution, which is being taken today, which provides financial support for the construction of the new hospital. 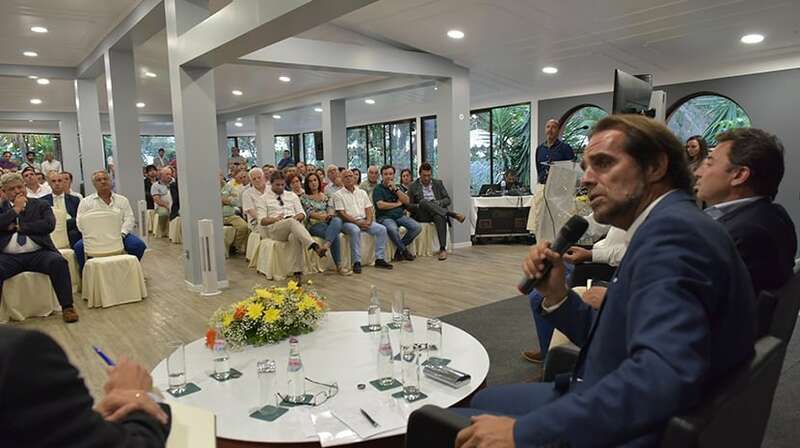 “If the schedule was approved in accordance with what was agreed, we have all the conditions to open the international tender for the construction of the new hospital in Madeira by the end of October,” he added, adding that “this work is a regional design “. “It is of regional interest, it is approved by all political forces and is a design that can not be exploited by any party, let alone by a group of characters who play with the intelligence of Madeira and Porto Santo,” stressed the President of the Government. Nonetheless, he stressed that the Region will assume not 50, but 57% of the value of the work, since it is the Region that will pay the expropriations. “The Regional Government will pay 200 million euros and the state will pay about 133 million,” he explained, lamenting this situation. “The people of Madeira, besides having to pay for the health system, will still have to pay half of this hospital unit and equipment, which is not the case on the continent,” said Miguel Albuquerque. In conclusion, he added: “we do not allow this question to be used for partisan purposes”.